Tanenashi is the Japanese word for "seedless". These persimmons are ideal for snacking and cooking! TheTanenashi produces fruits with beautiful red, yellow and orange tones. The tree is a beautiful specimen that will brighten any home's decor. 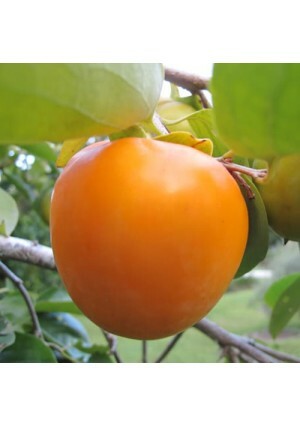 Depending on your climate, the Tanenashi Persimmon may bear fruit in 2-3 years. Persimmons are Cold Hardy in USDA Growing Zones 9-11. They are successful as a container-grown plant in all Growing Zones if brought indoors for the winter.